"sympathetic" renovation. 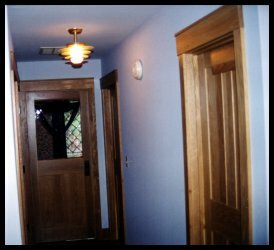 I worked directly with the homeowners to develop details such as new doors and leaded glass windows, trim and casings and furnishings. 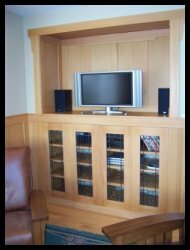 All the woodwork was done in quarter sawn white oak and was stained and finished prior to arriving on the job site. Small details abound. Such as the hand hewn header beams which are let-in to the plaster above each door. 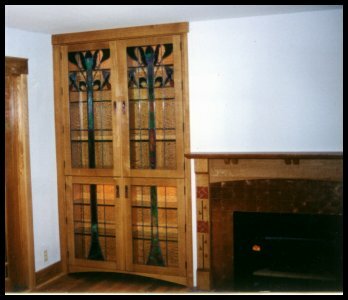 Or the use of restoration glass combined with fine antique stained glass in the new windows. Detailing like this made this little Mission style home really shine. 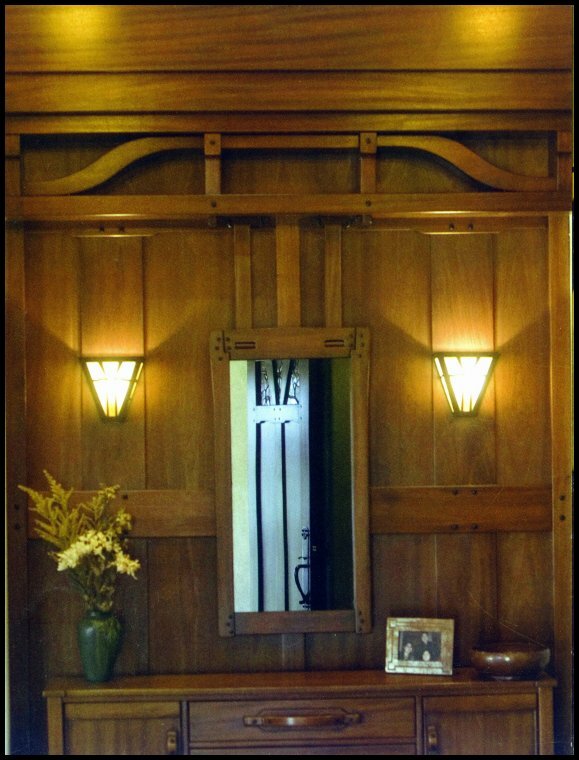 The interior woodwork for the Arts & Crafts home is one of the main features that sets it apart from most other types of homes. There is nothing else quite like a one of the well appointed Bungalow Interiors to bring out the wood lover in all of us. The clean unadorned lines really allow the natural beauty of wood to speak to us. 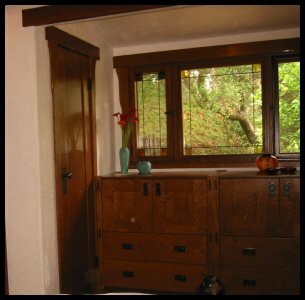 Whether it is in the form of the many Craftsman style bungalows that have been lovingly preserved around the country. Or in one of the fabulous ultimate bungalows of the Greene brothers this reverence for wood is certainly a huge attraction for most of us. sprung up all over Southern California after the war. You know the ones...rows of identical boxes with little or no detail on the outside or the inside. 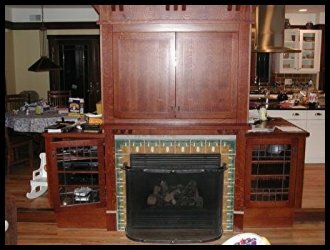 My parents had collected modern danish walnut furniture so the home was not devoid of beautiful wood but the interior detailing was simply none existant. To be honest I can't really remember much about that home now but what I can clearly recall is our visits to a Great Uncle's home in Santa Monica. 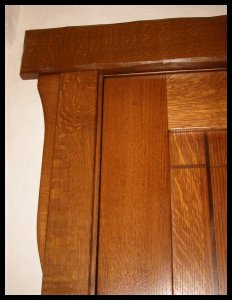 quarter sawn white oak. It was a terrific place which I usually had to be dragged away from kicking and screaming. When I think back about it now....old Uncle Joe was probably glad to see me leave so he could have his haven to himself. Over the years since I have visited and worked on many such homes. I still feel a pang when it is time to leave. To me and many others this type of home embodies everything that a real home should be. to be instrumental in making that vision into a reality. 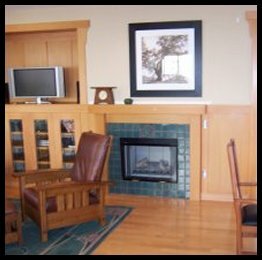 Below are some examples of Arts & Crafts Interiors we have created. and that perhaps they will help to inspire you to create your own haven.